Managing for wildlife is a vast subject, and one that many of us are unfamiliar with when we first purchase our dream property. You look at your land and you don’t even know where to start — how can you tell if it is healthy? How can you identify areas that need help? Here are two resources to help you evaluate habitat. 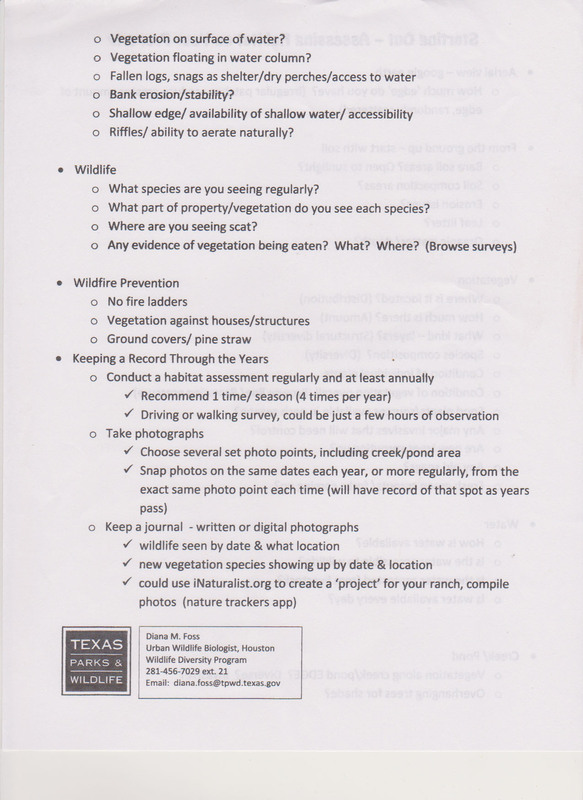 The first one is a handout I picked up at a yearly wildlife management workshop in Houston. The author is Diana Foss, a TPWD biologist, and I am using it with her permission. 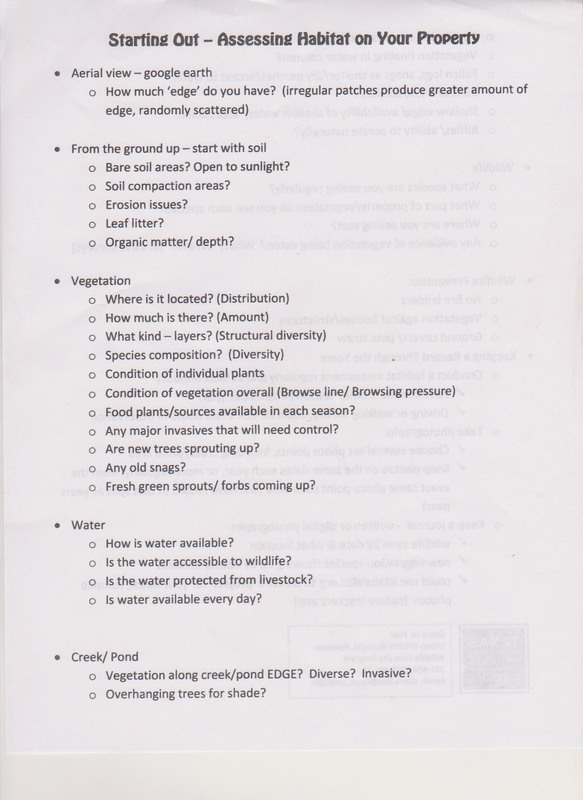 She is headquartered at Sheldon Lake near Beaumont, so obviously some of these questions won’t apply to us in Edwards County (like most of the water questions), but still, I think this checklist can help remind you of important aspects of habitat management. Some factors to consider in habitat assessment. Page two of assessment factors. The next one is a blog post by a prairie restoration biologist in the Platte River area of Nebraska. Again, not all of his information will apply to us, but I think his criteria offer us good ideas.